Across the nation university institutions have found that having athletics as part of college life has become extremely beneficial. Not only has revenue and public exposure increased, but also school pride has soared tremendously. We learn that often times students commit to a post-secondary education based on three factors: academics, athletics, and school spirit. Here at Seton Hill University, a huge emphasis has been on creating a balance between all three and signifying each of their importance. “It is very important for all of us to have pride in our school. It is our school and if we do not represent and promote our school, who will,” said Chris Snyder, Athletic Director here at Seton Hill University (SHU). With the spring semester rapidly coming to an end, many sports teams for SHU have seen great progress and success. These successes range from the Griffins smallest team of five, women’s golf, earning 2nd place at the ESU Invitational, to women’s equestrian, led by senior Juliana Caffrey, where the Griffins competed in 10 shows, earned 5 first place victories, and had three zone championship qualifiers. Men and women’s basketball fought hard all year for the Griffins. 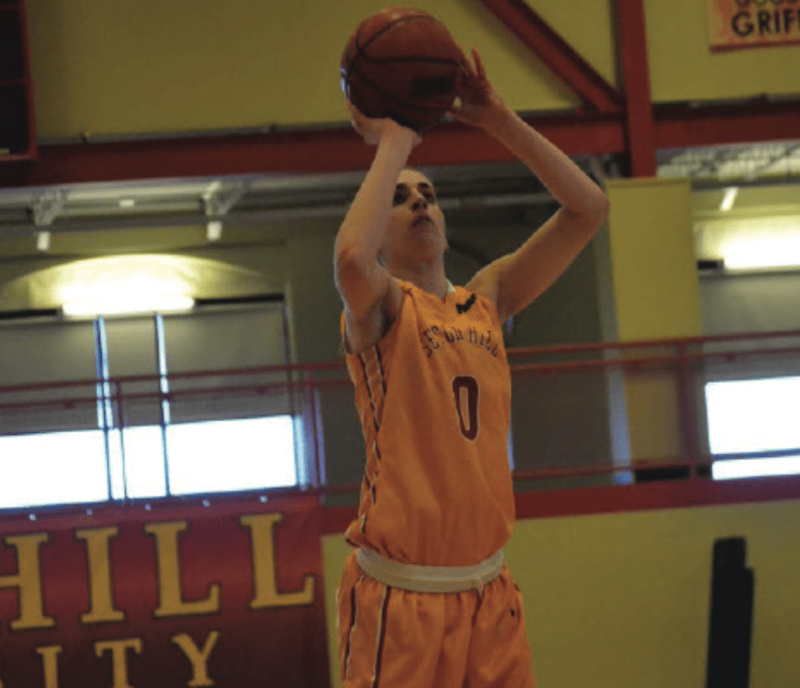 The women’s team, however, showed more dominance by finishing the season with a final record of 12-17 and earning a playoff spot for the third consecutive year. The lady Griffins led by Head Coach Mark Katarski, lost in the first round of the playoffs to Edinboro University by a score of 53-68. They graduate two key players, forward Chelsea Apke and guard Meghan Mastroianni, but will look to bounce back next year with the young talent that they have, which also includes Kelly Brennan who will be a senior next season. Brennan was the leading scorer, averaging 10.5 points per game (ppg) this past season and earned a SHU record/career high 39 points against Slippery Rock University on February 2nd. The men’s basketball team was not as successful as they have been in the past. Under Head Coach, Tony Morocco, the Griffins experienced a rebuilding season finishing with a final record of 7-19, this year they had a very young team, with only one player graduating. Starting guard David Windsor, who averaged 16.0 ppg and was named to the 2014-15 All PSAC Western Division Second Team. The Griffins student-athletes not only strive to excel on the field or court, but also look to excel off the field in their studies and extracurricular activities. “I am often impressed by the success of all of our student athletes. Our student athletes have a burning desire to compete and succeed in the classroom and in the athletic arena. To be sure, it is a delicate balance for each one of them, but our track records clearly shows our commitment to academic achievement (highest GPA in PSAC). It is equally impressive to see the amount of time all of our athletes give back in terms of multiple service activities,” said Snyder. With so much going on in the student-athlete life remaining focused during the school year can seem to be extremely difficult. With practices, lifting, film sessions, meetings, games, tests, papers, and not to mention the “distractions” that play a role in our social lives, it can be almost overwhelming to have the energy to complete each day to one’s full potential. With this said, there have been six sports teams here at SHU who should be very proud of themselves for truly representing how all this can seem possible. For the Griffins, men’s wrestling, women’s tennis, men’s baseball, women’s softball and both men and women’s lacrosse (lax) have finished their seasons over .500 in the winning column. Head Coach of the women’s tennis team, Kim Kissell, managed to turn things around this year for the Griffins. With the help of this six-player team, the Griffins finished with their first ever-winning season with a record of 9-8. They graduate two seniors from the local area, Megan Hudak and Chelsea Pence. Men’s wrestling earned their best record since existence at SHU finishing their season with a 12-5 record. Head Coach Brian Tucker, along with wrestlers Patrick Owens, graduate-student in the 141 pound weight class, and Ty Lydic 149 pound redshirt sophomore, traveled to St. Louis, MO to compete in the 2015 NCAA Division II National Wrestling Championships. Both wrestlers were eliminated in their matches, but still represented SHU at a top manner. The Griffins were also third in Division II All-Academic Wrestling Team with an overall GPA of 3.360 and recorded five returning wrestlers who were named as Second Team All Academic Americans. Continuing on with the Griffins success are the remaining four sports teams all with winning records. Arguably the most winning program here at SHU, under 12th year Head Coach Marc Marizzaldi, is the Griffins men’s baseball team, who is nationally ranked 8th according to Collegiate Baseball. 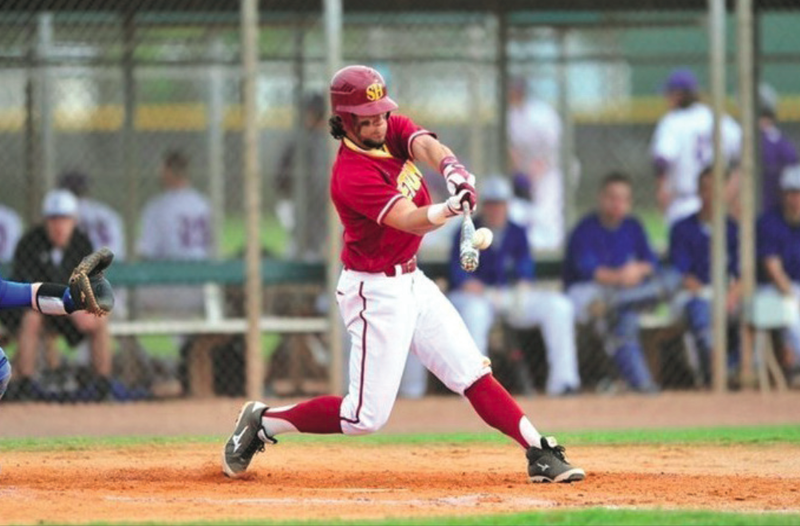 We all know of their historic run last season making it all the way to the NCAA Division II Baseball Championship in Cary, NC until getting eliminated in the semi-finals to Minnesota State University-Mankato. This year, the Griffins have showed no mercy. With an even better record, currently at 42-11 (fourth straight season the has one 40 or more games) the Griffins are out to prove that they are on a mission to get back to Cary, NC and ultimately finish this year on top as national champions in division II baseball. The Griffins are loaded with a mixture of young and old talent that is combined with a ton of depth on their team. For this season however, one major standout has been senior infielder Nick Sell, who has taken charge of the Griffins offense and earned the PSAC West Athlete of the Year. Sell leads the Griffins and the PSAC in batting average (.465), slugging percentage (1.105), and runs scored (64) and runs batted in (92). He also has recorded 80 hits and 28 home runs, which is a new single season record for SHU. And to think I was done, in addition to those statistics, Sell also has 18 doubles, four triples and 10 stolen bases. Not to mention, he has set career records in home runs, hits, doubles, and RBIs for SHU and is second in Division II in slugging percentage, home runs, and RBI’s. He, along with four other seniors will be tough to replace next year, but knowing Marizzaldi and his team, they will find a way to remain successful. After being eliminated by East Stroudsburg University 5-8 in the PSAC Tournament, the Griffins are currently awaiting their seeding in their journey to the NCAA Division II Baseball Championship, which will be announced on May 10. Similar to baseball, is women’s softball, who have also managed to have their best record since existence at SHU with a season record of 31-13-1. They are led by first year Head Coach Bill Monstrola, who received PSAC West Coach of the Year this season. After finishing second place in the PSAC West, the Griffins earned four All PSAC West performers in their second season of PSAC play; all the head coaches in the league voted these selections in. Of the Griffins to receive such an award, is senior Christine Henderson, named first team pitcher and also led the team in batting with an average of (.417), and freshman Ashley Perillo who was also named first team designated hitter. Freshman Victoria Stock was named a second team outfielder and junior Kaitlyn Kutchman (who led the Griffins in pitching with a 2.43 average era) also was given second team honors as utility player/pitcher. The Griffins were eliminated from the PSAC Softball Championships after losing to Bloomsburg University in an elimination game by a final score of 5-3. However, for the first time in school history the softball team has earned a bid in the NCAA Division II Softball Tournament as the #7 seed in the Atlantic Region and are expected to play the #2 seed West Virginia Wesleyan on May 8 at 2:30 p.m. The other dual gender sport is lacrosse, also known as lax. Both lax teams have seen great success and have earned national attention in their ranks. The men’s lax team, ranked 9th in the nation (according to USILA Coaches) under Head Coach Brian Novotony, finished their season this past week after losing to #11 Lindenwood University by a final score of 9-7. Although being the higher seed, this is the second time losing to Lindenwood this season. The Griffins ended with a final record of 9-5 on the season. They were led by sophomore attacker and points leader Zack Rusch with 36 and senior attacker Marc Piche, who came second in points with 35. There are eight Griffins that will be graduating after the season, so the young talent along with recruiting will be expected to help replace them. Likewise, the Griffins women’s lacrosse team completed a very successful regular season in their second season of PSAC play finishing with a record of 14-5 and 14th in national rankings according to IWLCA Coaches. Ironically, they managed to have the same record as last year going into the playoffs, but unlike last year losing first round, the Griffins added on another win after beating IUP in the first round by a score of 17-11 just this past week. They then traveled to the Lock Haven University (ranked #1 in the nation) and in their first ever PSAC Tournament semifinals the Griffins dropped 17-5 and were eliminated. 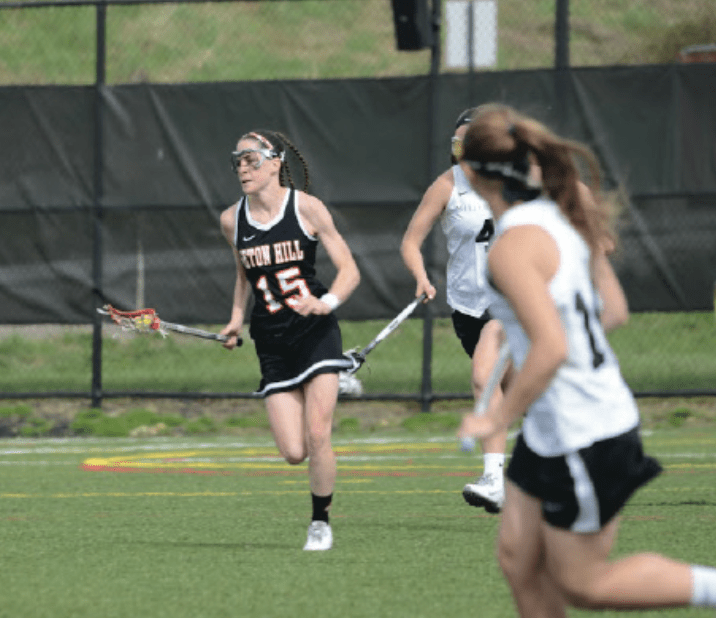 However, this year’s team has been rewarded with four all conference players with redshirt senior Emma Simmers being named first team midfielder, redshirt junior’s Emily Fagan (attack) and Alessandra Nicholas (defense) with second team, and freshman midfielder Keegan Pontious earning third team All PSAC honors. The Lady Griffins should remain dominant as they only lose one player on their roster. Graduating for them is captain; Emma Simmers remember the name. Simmers is a two-time ECAC Athlete of the Week whose career statistics are tremendously amazing. She is now a three time all conference selection earning 1st team All ECAC honors in 2012 and first team All PSAC honors in 2014, and has surpassed the 200-career goal mark, which is a SHU record. She also leads the Griffins in points with 98, 68 of which are goals and the rest assists. An impressive career to say the least. Last but certainly not least for the Griffins spring semester in athletics, is the Track and Field team. Head Coach Tim Creamer and PSAC qualifiers competed in the PSAC Championships this past week in Allendale, MI. Two Lady Griffins for the team excelled tremendously finishing as champions in their events. Senior thrower, Mallory Sanner, set a new PSAC meet and conference record with her first place finish in the javelin. Sophomore Jenna Bracken also won the PSAC Championship in the 100m. The Griffins will only graduate seven seniors this year. “In terms of athletics, our student athletes need to continue demonstrating character and integrity on the field, scholarship in the classroom, dedication to service, and serve as an ambassador for SHU socially, including social media,” said Snyder. May 19, 2015 in Athletics, May 2015 Magazine.